Our representatives or managers of decline? Henig is fairly typical of a new breed of council leader, adept at deflecting blame. In a similar way to Nick Forbes at Newcastle, he comes across as a national politician playing a local game. You can imagine that if, for some inexplicable reason, he hadn’t made it to the top of the local tree, he would have given up a long time ago and become a very good business man or manager in a large corporation. This is the post-Blair generation of local leader. It’s hard to fathom what their politics are. They say an awful lot about the Coalition Government. They seem to despise the Lib Dems for their “treachery”, but it’s not immediately apparent that this enmity has a political basis; rather it is the almost apolitical, akin to the tribal dislike of upstarts Manchester City by a “long standing” Manchester United fan. When you look at the modus operandi of Forbes, Henig and the like, they are actually very close to the Liberal Democrats, dutifully carrying out Tory cuts, telling everyone, whether they’re interested or not, that there is no alternative and engaging in the kind of doublespeak that says that you are safeguarding communities by cutting services. Maybe we shouldn’t blame them. They are products of their society. They were brought up in the bosom of New Labour. Between 1997 and 2010, this was the way you behaved to get on in the party. Critics within the party were virtually non-existent and those on the outside could be dismissed easily as Trots or anarchists – certainly nothing to do with respectable, moderate Labour Party politics. Nobody ever got on in New Labour by making a spectacle of themselves at a demonstration or hovering too close to a trade union banner. Activism was a probably always a bit of dirty word at this level of local politics. Apart from a few trade union activists, most councillors probably chose to stand, not as an extension of their political activism, but as responsible and respected members of their community. At some point in this period, however, there emerged what you might call a more “aspirational councillor”. The aspiration was often transparently personal. Perhaps it was about laying a foundation for a political career, as an MP or a Special Advisor (SpAd). Maybe it was a strategically astute move for anyone who wanted to build a career for themselves in the myriad of quangos and organisations launched by the New Labour establishment. What it absolutely wasn’t about, however, was political conviction. That much is clear. These aspirational councillors were perfectly suited to the managerialism that dominated the local state from the early 1990s onwards. Politics would only intrude. Once they’d elevated themselves to a certain position within the council (via committee work, informal contacts and generally keeping their noses clean) the job then became about working closely with the paid and unelected officers – in particular the chief executives, who could offer advice and guidance on what would not be possible and what would be financially prudent. However, the final piece of the jigsaw only came with the willing acceptance of their minor role by ordinary councillors, who deferred to the high flyers such as Forbes and Henig. It reminds me of that bit in ‘In the Loop’ where Simon realises that he was just “Meat in the Room”. So, essentially, the whole operation of the council (and our local democracy) becomes about what three or four powerful people think it should be. And as those people (to arrive in positions of power) have long given up an idea of political principles, what it becomes about is managing a corporation. In a time of austerity, it becomes about managing decline. If money is tight, you look at your margins, your labour costs, what is profitable and what is not (or “value for money” to use the public sector management jargon) and trim accordingly. These are what are commonly known as “tough choices”. Like some sort of sadomasochistic adrenalin junky, aspirational councillors feed off “tough choices”. It is how they earned their spurs in the corridors of power in the Civic Centre, County Hall or the Town Hall. More importantly, it is how they earned the respect of the chief executive. To maintain power, the manager of decline must continue to persuade the ordinary councillor that these are the only choices. There aren’t any other “tough choices”, like setting an illegal budget, like increasing council tax above the threshold set by the government, like building community support for an alternative budget – all of these choices have to be kept beyond the remit of discussion, because they are not seen as real choices. They are helped in this by the fact that other councillors, though not aspirational in the same way, have still learnt their trade in an era marked by defeats – for the labour movement and for local democracy, helped by the dominance of New Labour. There are certainly a minority that have kept their links to local community groups, campaigns and trade unions, but they are overwhelmed by those councillors who see their roles in local, almost anti-political ways. In either case, almost all defer to the Cabinet and the leader. Is the kind of local democracy we want? Can it, in fact, be called any kind of democracy at all? We vote, as local residents, for candidates who we expect to represent our communities first and foremost. 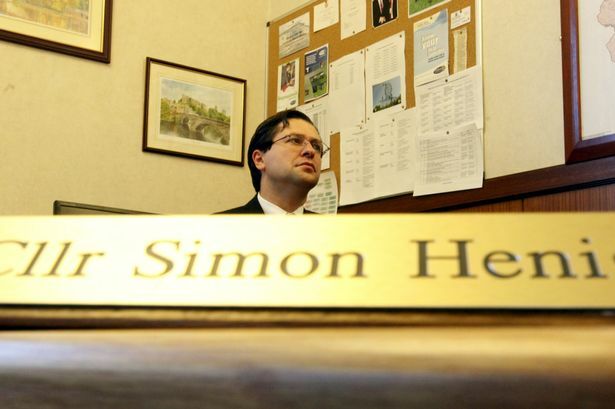 Surely, to vote for cuts that take away a council-run leisure centre, a library or a public service for the vulnerable in that very community is a betrayal of that bargain – or at least merits an explanation better than the bland prescriptions given by Henig. They tell us that we are targeting the wrong people. Well, yes, as the People’s Assembly points out continuously, the ultimate blame lies fairly and squarely with the Coalition Government. We not only know this, but we are the ones out on the streets campaigning against that government almost every weekend – against the Bedroom Tax, tax avoidance by multinationals, workfare, zero hours contracts, the decimation of the NHS and the targeting of disabled people via ATOS. Rarely do we have a local councillor standing by our sides. It is my view that the aspirational councillor – those “New Labour” councillors who have created a whole political class at a local level – all powerful, yet absolutely divorced from communities, have outlived their usefulness. They seemed all modern, in their shiny suits in the nineties and early noughties, but since the 2008 crash and the subsequent recession, they’re neither use nor ornament. They seem strangely antiquated in the changed circumstances we now live in, framed by austerity and the continuous fight to save our welfare state, our jobs and our communities. We need to reinvent what being a councillor means. Maybe we can reinvent an “activist councillor” to take the place of the aspirational councillor. Like the previous incarnation, perhaps the new breed of activist councillors could drag a few of the old guard (the swing voters if you like) along with them and turn them into half decent representatives of their community too. An activist councillor would be in amongst their community every day. They would fight tooth and nail for it. They would be on the side of the protestors rather than sneering at them as they passed them. They would organise protests, maybe even occupy stuff, but certainly be at the heart of community alliances and radical activity – in between the boring council business of course. The activist councillor would be independent minded, would take their representative role seriously and be held accountable for every single decision they made. Sounds ridiculous, doesn’t it? But is it? If we want to save local democracy, to make people believe in it again, shouldn’t we be trying to change the culture which has created the Nick Forbes’ and Simon Henig’s of this world? The alternative? Actually, it’s even more ridiculous – but it’s becoming a reality as we speak, right in front of our eyes. It’s effectively to give over the running of our local state to unelected officials – managers who will outsource its functions to private companies giving “value for money” until, well…there’s nothing left.